If you’re tired of replacing your cell phone every time you drop it or get it wet, then we might have the answer for you. This month, we put the LifeProof iPhone case to the test. Cell phones have become a part of our daily lives; everyone has a phone. What used to be the domain of only tradesmen and business professionals has now become commonplace. A lot of the modern phones are smartphones, costing well over $1000. In fact, many are near the $1500 mark. With so much money invested in a phone, it makes sense that everyone buys a cover of some sort. These are normally just designed to protect the phone from scratches and knocks you encounter in your day-to-day life. But what do you get if you want or need extra protection? The choices get few and far between. Thankfully, LifeProof has come up with a cover that provides just that – complete protection. There's only one catch: you must own an iPhone 4 or 4S to use this cover. At this stage, there are no cases available for any other type of phones, for example the Samsung S3. LifeProof also makes a similar cover for the Apple iPad. 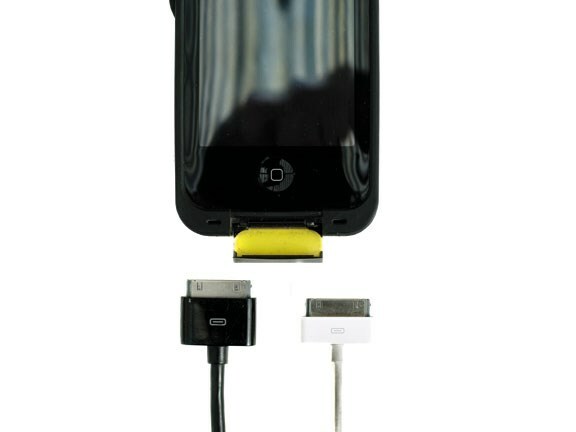 The LifeProof case is designed to be installed on your phone and left there. The more you remove and reinstall it, the more likely you will damage the seal and thus render the case useless. But that's ok because there is really no reason or need to remove the case. Everything can be accessed in the same way as if the case wasn't even there. The side buttons can easily be pressed through the soft, rubber-like cover and the touch screen works in much the same fashion. Only a slightly firmer downward pressure is needed to operate it. The case has a slimline design which is great. This is where this case is different from others I've seen. I had a demo unit on my iPhone 4S for a month and not one person realised it was a complete protection case; it just looks like your normal average phone case – only a little chunkier. The case is only 13.3mm thick and the main body part is just 10.8mm wide. Not bad considering the iPhone is itself 9.3mm deep. 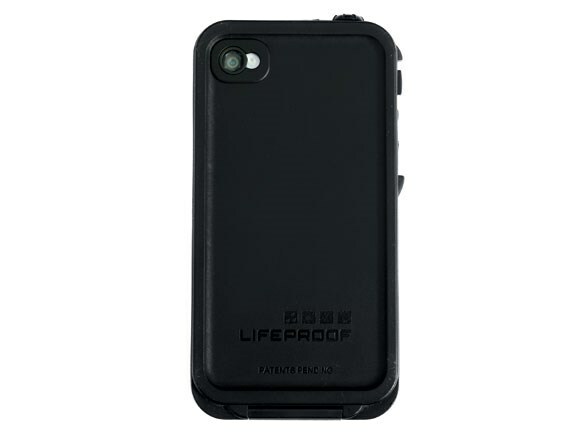 The case weighs in at less than 28g and is designed to give protection in any wet, dirty, freezing or rough situation. It is even possible to text and talk while standing in monsoon rain conditions. In fact, when you first test the cover, it is suggested you leave the unit in water for 90 minutes as an integrity check. That's thanks to this case being IP-68 rated, meaning it's completely sealed against water and dust. Dusty environments can kill a phone in months; those small dust particles play havoc with the internal circuit boards. Clearly this cover is designed for more then a quick drop in the drink. Filming movies underwater is also now possible. But remember, although the unit is waterproof to two metres, it will not float. Let go of it in the deep sea and it's bye-bye phone. Unless, of course, if you have a floatation device like the LifeProof lifejacket. 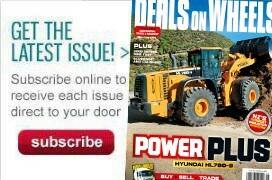 This is a slightly larger cover that you slip on when needed. It can float and is easy to see and will be released in New Zealand in a few months. The optical glass where the camera sits has a special CrystalClear double anti-reflective coating for ultra-high quality images. I couldn't tell which of my movies and photos were taken through the case compared to those taken without the case on, as all were clear and had no visibile or obvious distortion. 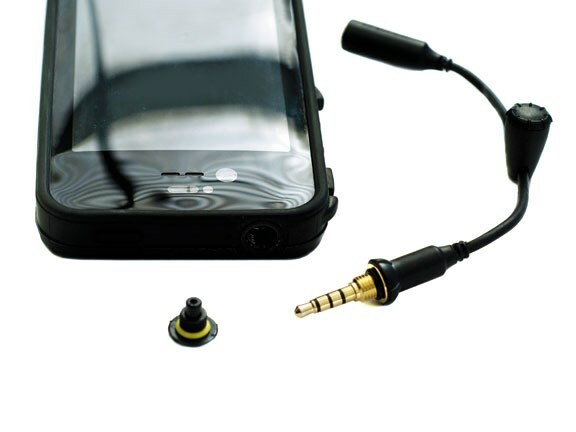 The unit comes with a short cable that screws into the headphone socket to enable a headphone to be used. It has a small rubber O-ring in the plug so the integrity of the case is not compromised. With waterproof headphones, you can now listen to music underwater – if you ever felt the need. All the normal headphone controls still work when using the cable. It's also been tested to military specifications MIL-STD-810F-516.5 – the only phone case I know of that has. This means it's been dropped onto concrete from a height of two metres and the phone has still survived. It's fair to say this is a tough and robust case. If you go to the website, there's a great deal of information and videos on how to install, care and get the most out of the case. There is also a good range of spare parts available to keep your case in tip-top condition – a must if you use it to its limits. Bike mounts plus arm bands and belt clips are also available. The LifeProof iPhone case is fantastic. Once you get over the slightly different feel the phone has through the cover, you don't even notice that the case is on. I didn't treat the phone any differently once I had the new cover on – I didn't go looking for trouble. But when I dropped it in the snow and another time in the dirt, that's when I gave a sigh of relief rather then a scream of despair.